Credit: Credit- Andrew Bashford and Vasanta Subramanian. 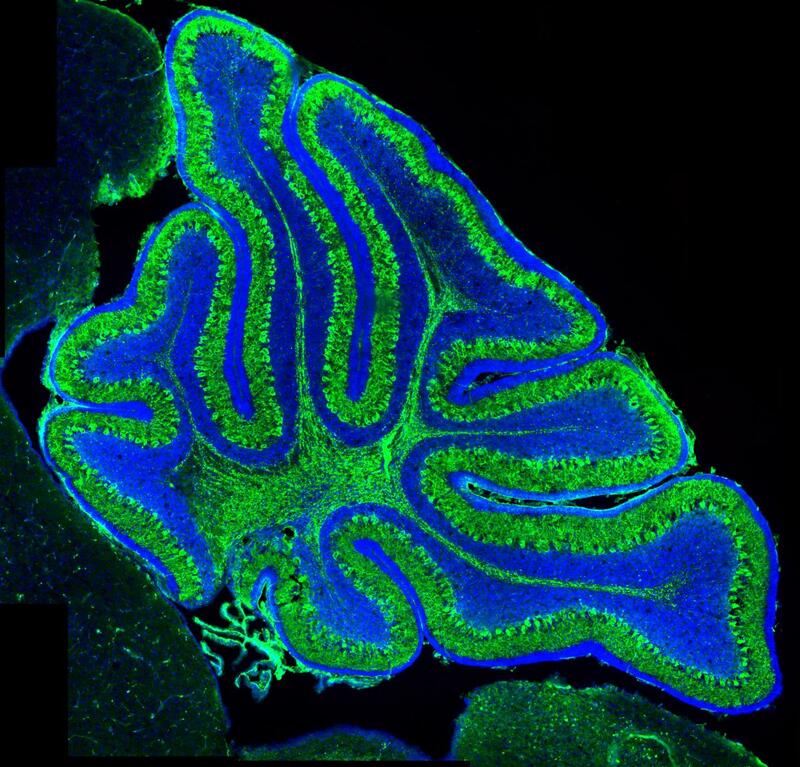 The selective gene manipulation in Talpid3 reproduced the physical abnormalities of the disease in the cerebellum of the mice. The mutant mice also demonstrated one of the key symptoms of Joubert Syndrome – progressive ataxia which is a worsening lack of motor control. In addition, the deletion in Talpid3 impacted on some key molecular pathways associated with the formation of the cerebellum. The paper is published in The Journal of Pathology. Joubert Syndrome is a rare hereditary genetic disease, affecting between 1 in 80,000-100,000 people. The disease leads to the underdevelopment of the cerebellum, a region of the brain which controls balance and motor skills. Patients suffer from a range of symptoms, most commonly impaired motor control, abnormal breathing and sleep, and developmental delays as well as deformities such as cleft palate or extra fingers and toes. The research was funded by a University of Bath Alumni Funds grant to Dr Subramanian and a Medical Research Council (UK) Doctoral training grant to Dr Bashford.